Beautiful Black leather Sofa and Matching Love Seat by Natuzzi. 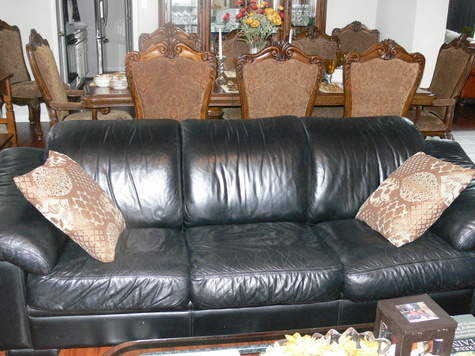 The sofas are very comfortable and made of top quality leather. Measurements: Sofa 67"L x 36"W x 30"H; Love Seat 67"L x 36"W.